our last home page description did not provide clear information unless the scorecard was actually being used. We were told that once the scorecard was used, the energy users were able immediately to understand the effectiveness of EnMS operation together with gaining appreciation of the essence in the ISO 50001 International Standard. 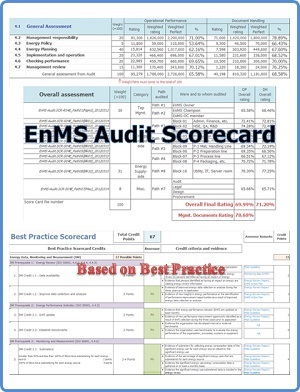 In response, we have created a complimentary download material "Welcome to a Magnificent World of EnMS Auditing" to provide better understanding of our EnMS Scorecard. 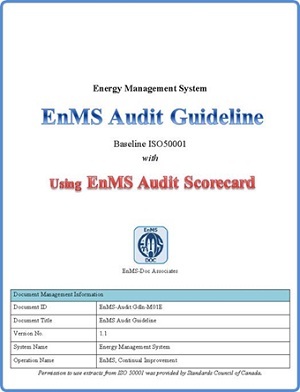 The EnMS Audit Guideline was created to assist energy user organisations to implement an effective internal EnMS audit following requirements of ISO 50001 Clause 4"Energy management system requirements", sub-clause 4.6 "Checking (performance)", item 4.6.3 "Internal audit of the EnMS". 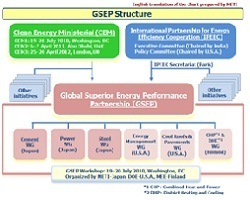 To be more specific, it guides to execute a proper audit to assure "conforming to planned arrangements for energy management including the requirements of this International Standard" and "being effectively implemented and maintained"
Up to this point, it is not much different from other management system. 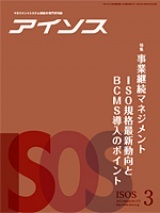 However, "this International Standard" refers to ISO 50001, and EnMS operation is unique to other management system with a prime objective to improve energy performance. For this reason, in order for the EnMS audit to meet the objective, it not only to assess the operational and documentation aspects, but also to assess an organisation's energy performance. The SEP program best performance scorecard endorced by the U.S.A. DOE and USCEEM requires assessment by a performance verifier as well as by a lead auditor when using the scorecard for certification. An interesting question related to EnMS audit is when after setting an energy consumption reduction target at "5%", and only achieved "3%", would the assessor place a "nonconformance"card? Answer is "No". Comparing to Targeting "1%" and achieved "1%", "only achieved 3%" provides much more benefit to the organisation business. (1) To fully appreciate the contents of energy review conducted. (2) To fully appreciate the contents of EnMS Action Plan. are reflected in the planned actions. collection and monitoring status of EnPI through "Miyeru-ka"
it attracts assessor for favourable evaluation. Often overlooked element in EnMS energy performance improvement is "once energy performance improvement is achieved, the value of how to maitain the best condition after the improvement".In order to maintain the best condition is not an easy task. It often requires stronger effort than to engage in an improvement activity. Why not interpret as "To maintain the best condition" = "continuous improvement"? With above audit set and below "a powerful set containing key 12 management documents for ISO 50001 compatible operation" making "Self-declaration" within reach.